As librarians, we’ve all felt, at some point or another, like one of the great loves of our lives has been judged hopelessly irrelevant. 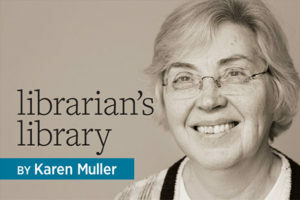 In an era when information is digital and abundant, demonstrating the value of libraries and librarians is more urgent—and can be more difficult—than ever. 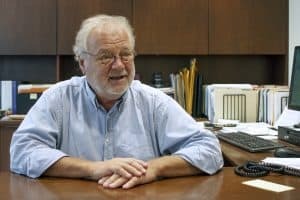 At Georgia Tech, we knew that using words to explain and defend would not accurately demonstrate the impact we have on inspiring and accelerating the intellectual achievements of faculty and students. So we set out on a library renewal project. When we started four years ago, the project largely centered on building renovations. Over time we realized that renovations are the easy part of a transformation. We are fortunate to have creative architects, designers, engineers, and construction experts. We have the financial and political support of the administration and the University System of Georgia. And we benefit every day from the advice of consultants and subject-matter experts. The biggest challenge to our transformation was organizational. We soon saw that we had to change the culture of the library from passive to active, and we had to retire models that focused narrowly on the library rather than those that supported the larger institution. We had to commit to organizing in a way that envisions a future that is digital. How? We are adapting techniques used in disciplines such as supply chain thinking and portfolio management to radically restructure the way we operate. Our goal is to make the transactional parts of the library’s work as efficient as possible in order to free up resources to sustain new services such as intelligent agents, visualization, and data science. We are acutely aware that we will succeed or fail based on how enthusiastically staff members embrace change and an organization that is continually evolving to meet the needs of faculty and students. Over the past year, we have rewritten every job, process, and procedure in the library. Most of the traditional, hierarchical department structure is gone, replaced by new reporting relationships. Most of our work is managed in a portfolio framework of 10 programs and more than 60 projects. 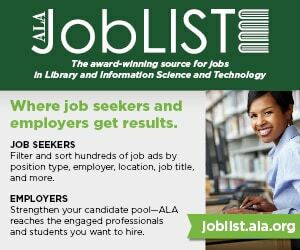 More than half of our librarians are subject specialists who report to senior librarians who act as coaches, mentors, and performance evaluators. Amazon has forever changed customer expectations, and we must improve our services to meet them. Traditional technical services functions are being organized into a supply chain in which staff members will be able to switch from managing interlibrary loans to creating basic archival records, from processing reserves to ordering online, as demand necessitates. 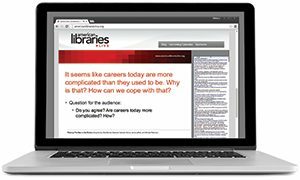 Employees are learning how to manage more than 10 library systems, rather than one or two. We are creating a supply chain oversight team to unite our multiple locations across Atlanta. Amazon has forever changed customer expectations, and we must improve our services to meet them. A particularly challenging aspect of the transformation is replacing the image of the library from a static or anachronistic resource to a vital contributor in scholarship and learning. Instead of staying in library buildings, sitting behind desks, or teaching traditional library skills classes, librarians are venturing outside and forging new relationships with faculty. As more responsibility for managing functions and transactional services moves to support staff, librarians are learning about current research from faculty members and new forms of scholarship. Librarians are planning programs to teach students and faculty how to handle data and create digital portfolios of their work. They are collaborating closely with a variety of academic departments and support services to assist with managing intellectual property, improving discovery tools, and partnering with other libraries to provide access to more high-quality scholarship. In four years, we’ve seen that it comes down to people. Transforming a library to meet 21st-century demands and demonstrate its vitality to university life requires a restructuring that goes beyond floor plans and renderings. 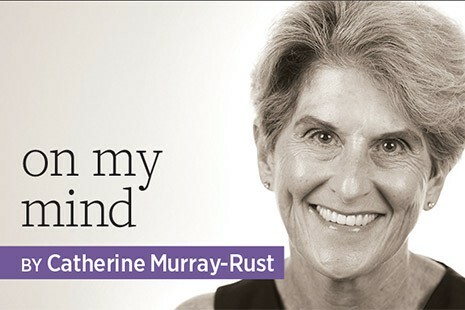 CATHERINE MURRAY-RUST is dean of libraries at Georgia Tech in Atlanta.